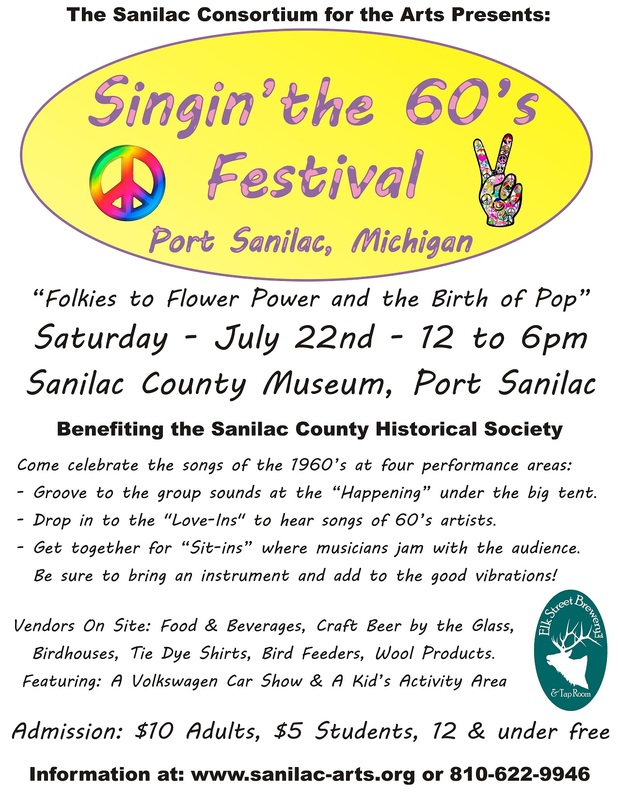 2017 was the second "Singin' the 60's" Festival. We considered it to be a huge success considering we had rain the entire day. Attendance increased and there were a lot more things for people to see and do. Below is the flyer for the second festival and a schedule of the performances. 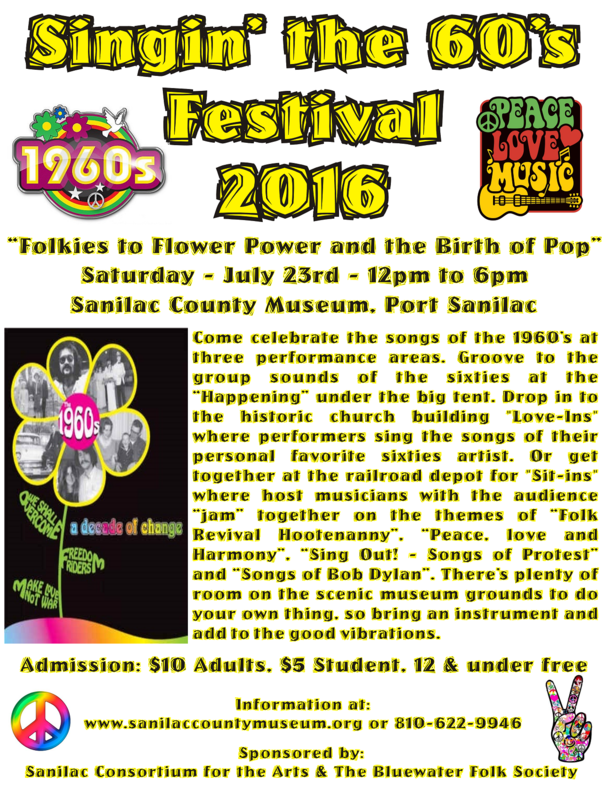 2016 was the inaugural "Singin' the 60's" Festival. We considered it to be a huge success considering it was the first time for something like this and the fact that we started planning later than we should have. 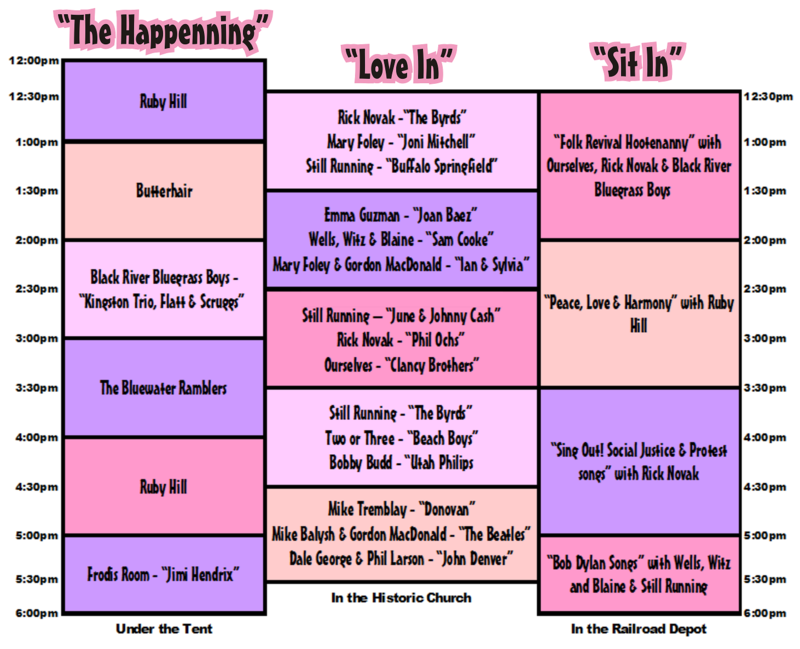 Below is the flyer for the first festival and a schedule of the performances.